The Overwatch League is down to its final four teams. Shacknews has the full schedule for this weekend's semifinals. The inaugural Overwatch League playoffs are underway. The quarterfinals have wrapped up and only four teams remain. For those unsure of when the action is set to go down this week, Shacknews is here to help. Last week saw a wild upset, as the Philadelphia Fusion prevailed against the Boston Uprising, who had surged throughout the second half of the season. While Boston fought back with great performances on Junkertown, it wasn't enough to ultimately overcome the Fusion. But the most memorable set of the weekend saw the London Spitfire overcome their demon in emphatic fashion. The Los Angeles Gladiators were clearly not prepared for a resurgent London team, as a fired-up Ji-Hyeok "Birdring" Kim led the Spitfire to back-to-back 3-0 sweeps to take the series 2-1. 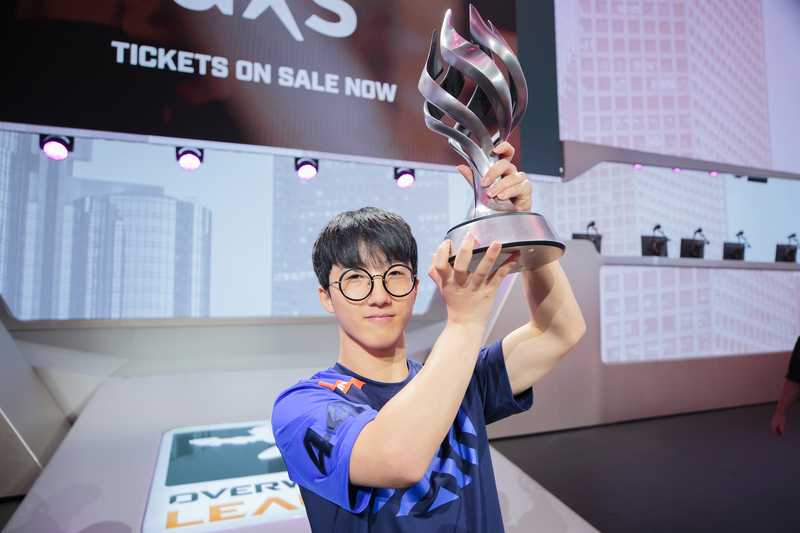 Now the lower seeded Fusion will face off against the best team in the Overwatch League, the New York Excelsior, along with Overwatch League MVP Seong-Hyun "JJoNak" Bang. As for the scorching hot Spitfire, they meet the Los Angeles Valiant. Each individual match will be a best of five maps. The first team to win two matches advances. The two semifinal winners will advance to the Grand Finals, which will be held at the Barclays Center in Brooklyn, NY on the weekend of July 27-28. As part of a new agreement with ABC/ESPN/Disney, the Overwatch League quarterfinals will air live on Disney XD, as well as on Twitch.